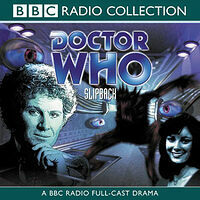 Note: The 1985 BBC written-for-radio episode Slipback had previously been released on cassette paired with Genesis of the Daleks, then later re-released on CD as part of The BBC Radio Episodes box set. Following a spot of uncharacteristic intoxication, the Doctor wakes to discover that the TARDIS has materialised in the service ducting of the Vipod Mor, a huge craft which is itself floating in deep space. Furthermore, the console has detected Time spillage: someone or something is tampering with Time! Such experimentation could not only damage the Space-Time continuum but destroy the past and future history of the Universe. The Doctor and Peri board the craft to investigate. Time experimentation isn't the only illegal operation being conducted on board. A number of valuable works of art have been stolen from those planets which the craft has visited, and two rather suspect policemen are patrolling the ducting in search of the intergalactic art thief. 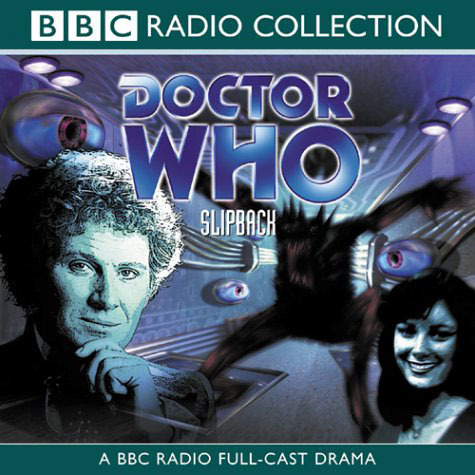 Soon Peri has been detained by the police, the Doctor is interrogated about the secrets of Time travel and everyone has to suffer the on-board computer's split personality.